The James River Day School character education program instills in our students the knowledge and skills to practice positive character traits. The core values of our character education program are fairness, caring, honesty, respect, and responsibility. We directly teach and foster these ideals through our multi-age advisory groups, "Cardinal Buddy" peer mentor program, monthly whole-school character activities, and regular classroom community meetings. 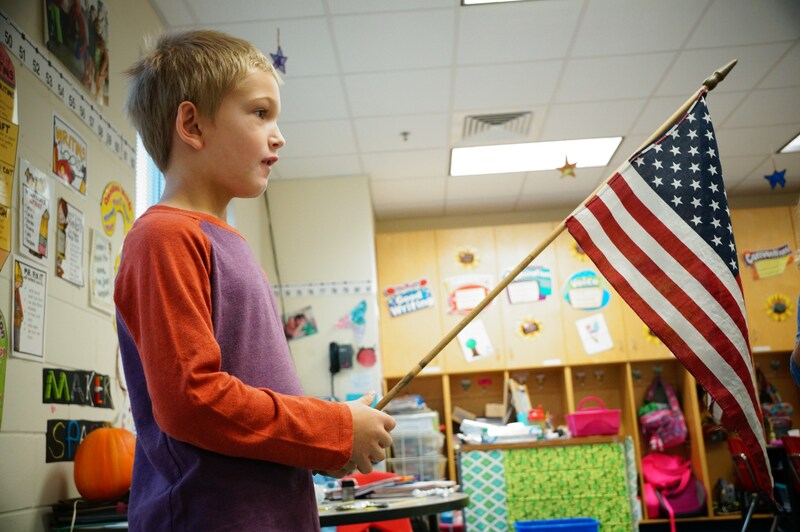 To further character education and development, James River Day School asks all students to recite the Pledge of Allegiance and the school's character pledge each morning. Students in grades 5-8 are asked to sign an agreement that they will adhere to the JRDS honor code and are asked to write a pledge on each written assignment that they have followed that code. be trustworthy and be fair in all that I do. unless told otherwise by the teacher. I will respect others and their property.